Our instructors are all handpicked and undergo intensive internal training in the ABSOLUTE YOU methodology of teaching. This sets us apart right away from other studios who just hire then put them on the floor to teach. We have the largest teacher team in Asia with a wealth of experience from a variety of backgrounds. You’ll get a unique feel and style to every class from both local and international personalities.  Air followed his dream to work in fashion industry and publishing field for about a decade. He spent time on yoga mat to escape from his working life and to have a moment with himself. Yoga became Air’s way to bring a happiness and peace to his life. Slowly Yoga became the most important part of his life. Air decided to join Hatha/Vinyasa Teacher Training with Absolute You. Kru Air’s goal is to share his passionate and the love of yoga to students. He teaches with an authentic, dynamic and fun approach for students that allows them to explore their body, mind and spirit. With a staggering 8-year outstretched career path in fitness at International Fitness Centers, 3 of which as a Private Pilates Trainer, Ant, title Coordinator Master Trainer, was in charge of training the rookie trainers in fitness exercises such as Pilates, Weight Training, TRX, and Kick Fit Training. Ant explains that what she loves about Pilates is its body-and-mind connection, coordinating the movements of the breath and the body and in turn creating a strong mind and a healthy body. The beauty of Pilates is also its ability to transform bodies and postures. Hunched over and frail in the past, Ant now stands tall and proud with the help of Pilates and feels recharged after every class she practices. Helping students achieve their desired postures and figures and improve their health makes her happy and proud as a teacher. Her classes are easy to follow, with focus on correct alignment, and sometimes incorporate cardio exercise. Ant was introduced to Coreblast by ABSOLUTE YOU. It helped her improve her core strength, the more she did it, the more she discover. Art finds Pilates as a perfect mind-body exercise to complement his Yoga practice. He finds right away after a few sessions that his body awareness and control greatly improved. The stronger core muscles help him perfect some of the advanced Yoga postures. 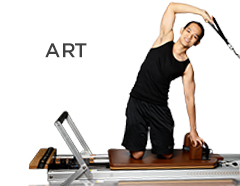 Art feels grateful for his opportunity to convey the benefits of Pilates to others. Artie was a flight attendant for almost 7 years. As yoga was the perfect answer to the physical & mental challenges he faced in his job. With his passion in yoga, Artie decided to join ABSOLUTE YOU's Hatha/ Vinyasa Teacher Training and became a member of the team upon graduation. 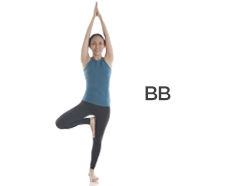 BB previously worked in the hospitality business, and practiced yoga on the side as a hobby. She made a career switch as she wanted a career that keeps her healthy & helps to maintain inner peace & wellness. BB has attended various teacher trainings & workshops such as ABSOLUTE YOU’s Hot Yoga teacher training & Anusara Immersion with Bo Srey. A fan of hot yoga, she enjoys teaching as she feels a sense of privilege being able to help others feel good about themselves. Her class is adaptive to her students’ needs & energy levels and she believes that it is never to late to start yoga. My yoga journey began in Bangkok in 1999 when my aunt told me about Yoga’s poses in a piece of paper and after that I bought a yoga book and self-practiced. In 2008, my colleague introduced me to a 90-minute hot yoga class at Absolute Yoga in Bangkok and it made me fall in love with yoga. I was suffering from a lower back pain (sciatica) from a motorbike accident since 1997 and sometimes I could hardly get up from my bed because of the sciatic pain through the leg. After practicing yoga it helped reduce the pain. After I took a teacher training course, I designed a yoga sequence for my back pain and the sciatic pain totally went away! I became certified as an International Hatha-Vinyasa Yoga Teacher in 2015 at FIT Innovations Thailand and in 2016 Yin-Yoga Teacher training with Sebastian Pucelle both certificates are certified by International Yoga Alliance. Originally in the catering business, Big fell in love with Yoga after her first class & decided to become a teacher, as she wanted to share & spread the benefits of Yoga after seeing the positive impact it had on her life. Big has attended numerous teacher training and continues to develop in her practice by attending workshops regularly such a Anusara Therapeutic Course & Anatomy course. With a personal affinity of Anusara Yoga, Big’s classes are dynamic & challenging and she constantly reminds her students that their practice is beautiful in itself & to practice from their heart. Before Yoga, Candy had experienced numerous different jobs such as being a high school teacher, a finance and accounting manager, a pub and restaurant owner and a cooking instructor but found her calling in teaching Yoga after completing a one-month Yoga teacher training program in the Yoga Institute of India. She loves teaching as it allows her to continue to learn by teaching and sharing a spirit of yoga with everyone. Her classes are fun, dynamic and strong and also focus on proper alignment and safety. Before becoming a Pilates instructor, Cher was working in the IT business in marketing. Cher found herself spending her free time doing fitness and practicing Pilates. Cher’s passion grew more and more with Pilates as she realized Pilates helped her not only mentally but also physically. Because of this she wanted to deepen her knowledge of Pilates and its benefits, learn more about functional anatomy , and how to reduce pain through Pilates for others as an instructor. 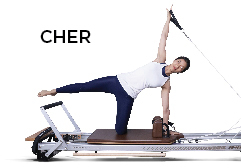 Cher is certified with Stott Pilates instructor training course level 1 & 2 for all equipment, Mat, Reformer, Cadillac, Chair and Barrel. Chu started practicing Yoga after straining herself from working many years as a flight attendant with many well-known international airlines. Her love for Yoga impelled her to become a Yoga teacher where she taught at various health clubs and studio in Bangkok before she joined ABSOLUTE YOU as a teacher. 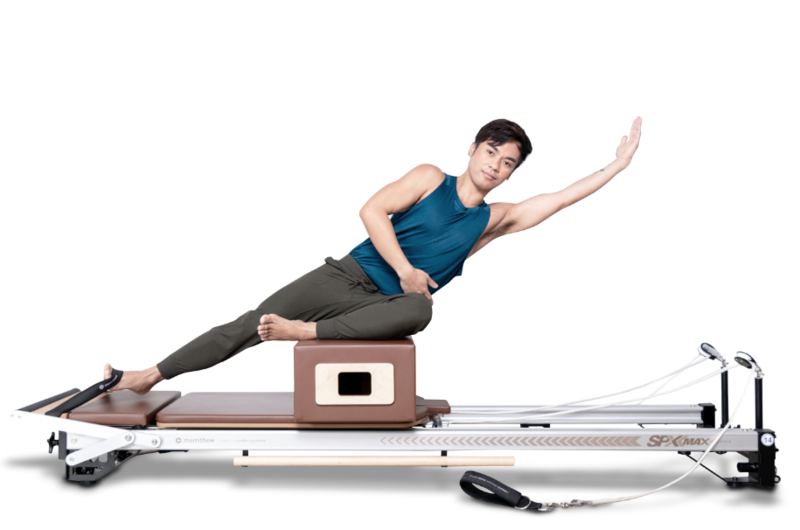 Chu was given the opportunity to switch to teaching Pilates and attended a Stott Pilates Reformer teacher training program. Chu constantly improves her teaching skills by attending various workshops and trainings with the aim to become a top Pilates instructor in Thailand. With her energetic and enthusiastic nature, Chu was amongst the pioneer batch to be trained in Coreblast and be part of the Absolute Coreblast instructor team. Eve, a former stockbroker for 8 years, who had never been into any kind of exercises, fell in love with yoga, and this led her to find her power and inner peace. With her passionate and energetic practice, she had dramatic changes in various dimensions of her life and well being. She not only immersed herself in yoga but also in aerial yoga. Both made her develop a combination of gentleness and strength. After a year of avid practice, she listened to her calling and made first transition to be an aerial yoga teacher. Eve practices yoga with love and teaches from heart. She emphasizes on both outer awareness and inner awakening. Her classes are calmly active and dynamic. “Your Yoga mat is a vast space to explore the reality of internal and external world.”, she says. An avid practitioner of Hot, Hatha, Vinyasa and Anusara Yoga since 2008, Fah decided to deepen her yoga knowledge by attending ABSOLUTE YOU’s Hot Yoga teacher training course and embark on a teaching journey. Originally from the chemicals industry, Fah finds that Yoga helps to manage her stress and enables her to relax. Being a part-time teacher has enabled her to share her experience and help students develop their own personal and sustainable practice in order to achieve a strong body and mind. Fai, the Thai national badminton player, started practicing hot Yoga to help heal her injuries and pain from her vigorous training. With a dedicated practice in Yoga, she felt herself getting stronger and branched into practicing Hot Flow, Vinyasa, Anusara and Hatha. Feeling a strong calling to teach. 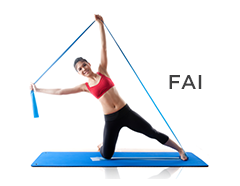 Fai is a firm believer that one becomes stronger and develops better concentration with Yoga. Her classes are active and strong whilst ensuring that her students enjoy their practice session. Fu started his working career as a fitness instructor after graduating from Mahidol University with a BSC in Sports Science. Certified in Body Balance, Body Jam and TRX, Fu switched to focus his career on being a yoga teacher and immersed himself in the study of Yoga. He’s not only a certified Hatha Vinyasa Teacher but also well versed in the Yoga sutras. Well known for his beautiful poses, Fu won first place at the Malaysian International Yoga Competition in 2014. Thailand's premier hot Yoga instructor and teacher trainer, Harreson graduated top of his class at Bikram Yoga College of India. A former Canadian professional triathlete champion and coach, Harreson's yogic journey has led him from personal growth workshop assistant to coaching peak performance seminars for an organic health food company, but it was his interest in Bhakti (devotional yoga) that brought him full circle when his mentor introduced him to the life changing and healing benefits of Hot Yoga. Ink was an avid Yoga student before she fell in love with Pilates and ever since she was hooked attending 2- 3 classes a day. Seeing the changes in made in her she took part in Absolute Pilates’s first Dynamic Reformer Teacher Training program to get an in depth knowledge of Pilates with an aim to be an inspiration to her students just as her teachers had been to her. A four-time Thailand's National Yoga Asana Champion, Jackie started her yoga journey at the age of five in a direct attempt to improve poor health. Through years of her yoga practice, Jackie has transformed no only physically but also mentally and spritually; it was with this realisation that she found her calling, to spread the teaching of yoga and to share its benefits with the world. Jackie's classes focus on functional movements and are heavily influenced by anatomy and alignment. Students are challenged through thier physical practice while being encouraged to turn their awareness, reconnecting their mind and body through a form of active meditation. Formerly in the Petrochemical & refinery field, Jeab fell into Yoga by chance. After following a dedicated practice for 3 years she decided to embark on a teaching career with an aim to enable others to reap the same benefits as she did through Yoga. With a personal practice in the Anusara, Hatha & Vinyasa styles of yoga, Jeab’s classes are a balance between strength and gentleness. She encourages her students to be patient with their practice and they will slowly see a positive change in both their body & mind. Later became a Pilates instructor after she had experienced first-hand the benefits of practicing Pilates, getting slimmer and healthier. Personally, Jeab practices Pilates 4-5 times a week. To Jeab, practicing Pilates is fun and not too difficult, and it also enables her to improve on Yoga postures that require core strength. Trained in Stott Pilates’ method, Jeab enjoys teaching Pilates and thinks it is rewarding to see her students’ progress and to share the advantages of the workout with them. Jeab’s classes are strong yet delightful. She encourages her students to be patient and determined in their practice to see the results. JP is a licensed Physical Therapist from Manila, Philippines. He is also a Certified STOTT PILATES Level 1 Instructor for Matwork, Reformer, Cadillac, Chair and Barrels and Certified Balanced Body Matwork Instructor. With his extensive knowledge about anatomy and rehabilitation, his classes always focus on challenging core stability, proper muscle activation and correct bone alignment. His passion and enthusiam in teaching Pilates makes his teaching style fun and energetic, infusing flow and grace in every movement. Always expect your body to sweat as he keeps the class upbeat and wild! A former Thai National Judo Champion, Judo is a certified Personal Trainer, TRX instructor and Mix Martial Arts instructor. He is armed with 6 years of experience working at Thailand’s top fitness centers. 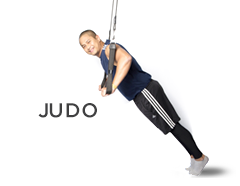 Judo’s bubbly personality coupled with his strong functional training background, makes his classes dynamic yet fun at the same time. Julie began her journey of teaching Yoga back in 2006 after completing her first vinyasa teacher training in the UK. In 2008 she took the Absolute Yoga Hot teacher training course and then joined Absolute You in 2010. Since joining Absolute You Julie has completed numerous trainings in Pilates and is a fully certified Level 1 and 2 Pilates Instructor on Reformer, Mat, Cadillac, Chair and Barrels. Julie is instructor trainer for yoga and has taught over 10,000 classes and has been involved in over 25 teacher-training courses globally. Julie’s next goal is to become and instructor trainer for Pilates. Julie used Pilates to heal her back pain and now her goal is to heal others. It brings her great pleasure to see others achieve things they thought they could not. Julie loves to see her students body change, confidence boost and mindset change. Originally from Singapore, Justin joined ABSOLUTE YOU in 2013. Moving to teach in Thailand has allowed him the opportunity to meet and guide many dedicated students. Prior to coming to ABSOLUTE YOU he only taught Hatha, Vinyasa and Yin, now he is well versed in teaching Absolute Hot sequences and the Absolute Fit series, expanding his teaching skills and versatility by leaps and bounds. Justin’s classes are fun, dynamic and energetic. He is thankful that the students at ABSOLUTE YOU come with great energy and always willing to learn. Previously in the jewelry and marketing field for two years, Kat transformed herself into a Pilates teacher by training in the Stott Pilates method because of the effectiveness of the workout; building strength, flexibility, endurance, and coordination without creating bulky muscles. 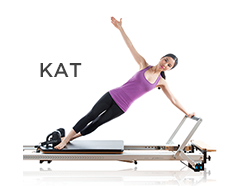 With a regular practice three times a week, Pilates has helped Kat improve her mental and physical well-being, better her posture and health, and lesson chances of injuries. Kat enjoys teaching Pilates as seeing students’ development recharges her energy while having fun teaching energetic and dynamic classes that reflex her personality. Kat’s message to students is to have a nice body requires hard work and Pilates is a good choice to make that happen. Knot, a former research scientist with a PHD in material engineering found his calling in teaching Yoga as it was an opportunity for him to tune inward & research his own internal world, to understand his mind & body after spending a length of time understanding & researching the external world through his work. 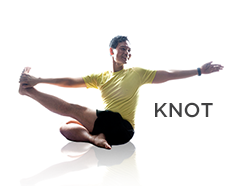 A well seasoned Hatha, Hot & Vinyasa practitioner, Knot is a certified Sivananda Yoga teacher who conducts strong classes that aim to bring the best out of his students. He delights in being able to make a small contribution in helping people achieve happiness & physical & mental harmony through his teaching. He strongly encourages his students not to give up both in & out of class; with constant & dedicated practice they will be able to achieve what they set their hearts intention to. Kwang previously a sales manager in an International Household Appliance Company made the transition to become Yoga teacher after a year’s dedicated Yoga practice where she was deeply inspired by her most favorite teachers. She is thrilled by the fact that she is able to share her passion and experience through teaching. Kwang believes that each style of Yoga allows her to learn the various approaches to Yoga. A certified 200 hours Hot yoga teacher from Absolute Yoga. Kwang’s classes are dynamic and fun and she guides her students to be present with the moment. Lek started doing Yoga to de-stress whilst working in a family business and found herself feeling relaxed, calmer and much happier after each class. She embarked on Absolute Yoga’s Hot Yoga teacher training as she wanted to guide people to reap the same benefits she got from Yoga. Lek who loves practicing Hot, Hatha & Anusara Yoga has attended many numerous trainings & workshops and shares her learning in her classes with students. Lily’s first Hot Yoga class had a profound impact on her as she felt one with her breath & an overwhelming sense of calm. From then on she kept practicing daily and left her job with an advertising agency to become a teacher after attending Absolute Yoga’s Hot Yoga Teacher Training. Her classes are thorough and she believes that Yoga is a life long journey and she is happy to be part of her student’s journey. For close to 20 years, Luke has woken up every morning, rolled out a yoga mat and practiced Astanga Yoga. He has taught students around the world for the 15 years, including 12 years with ABSOLUTE YOU. Mae, originally from the Philippines, has both the skills as a physical therapist and a Pilates instructor. 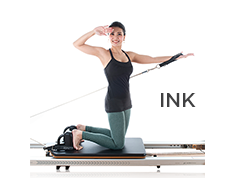 Armed with a Bachelors of Science in Physical Therapy from Philippines, she is not only a certified Stott Pilates instructor (Matwork, Reformer, Cadillac, Chair and Barrel, Injury and special populations) but is also certified by Fitness First and Elite Fitness as a personal training, Vibrafit coach, Flexibar and Xco trainer. Known for her dynamic classes, Mae was the pioneer batch to be trained in Coreblast. 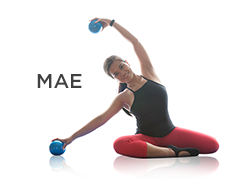 Mae’s classes are driven by her will to touch people’s lives through Pilates and Coreblast; they are dynamic yet fun and filled with her caring personality. Marvin first got introduced to Yoga when he moved to India’s capital New Delhi in 2010 while pursuing his degree in Development Economics. Since then he lived in India on and off for almost four years (New Delhi, Pune, Mysore and Goa) and continued to study and practice the physical, mental and spiritual aspects of Yoga under the guidance of various teachers and true Yoga masters. Their teachings not only opened new realms of understanding for Marvin but also inspired him to become the best version of himself. 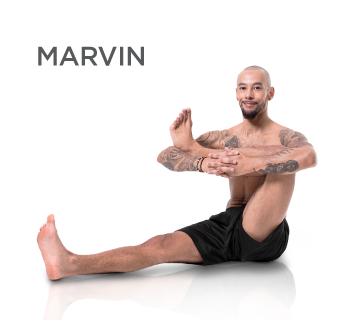 Marvin believes that yoga is a science which step by step can introduce and connect the individual to its inner essence and “Higher Self”. Marvin is certified to teach Ashtanga Vinyasa, Hatha and Prana Vashya and has done so in Europe, Africa and Asia. He shares his passion of Yoga by passing his knowledge on to others but foremost he considers himself as a student of yoga. The foundation of Marvin’s yogic path was paved by Dr. Nitin Unkule in Pune, India. From him Marvin learned the importance of proper alignment of the body while practising Asana. The effects of Yoga on the human mind and psyche where made most clear to Marvin by Yogacharya Vinay Kumar of Mysore, India. Vinay’s unique style and approach to teaching deepened Marvin’s understanding of the mind-body connection and expanded his knowledge of utilizing the breath in order to deepen one’s physical and mental capacities. The biggest influence on Marvin’s overall understanding of Yoga was bestowed on him by Shree BNS Iyengar of Mysore, India. Shree BNS Iyengar is one of the last living students of Shree T. Krishnamacharya (The father of modern yoga) and at age 91 the oldest living master of Ashtanga Yoga in the world. Under his guidance Marvin practiced and studied Asana, Pranayama, Mudras (energetic seals) and yoga philosophy. Furthermore Marvin has studied and practiced with world renowned teachers such as David Swenson, Andrei Ram, Gregor Maehle and Dev Kapil. Marvin’s classes are centred on the breath and how it is utilized in performing static and flowing asanas. Thereby the practitioner is able to consciously explore every breath in the present moment. Also Marvin brings his strong but gentle personality into the class giving it a wide range of playful exploration and determined focus. Originally from Manila, Michael is a licensed physiotherapist. 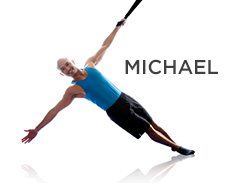 A certified Stott Pilates instructor in mat and reformer, Michael has been teaching Pilates for 7 years. He is not only an Advanced Health & Fitness specialist with American Council on Exercise (ACE) but also a NSCA-Certified Strength and Conditioning Specialist. Michael’s international work experience has included working in Gold’s Gym Manila, Sam Wellness Hotel in Denmark, Shangrila Resort & Spa Maldives. Michael was also the pioneer batch to be trained in Coreblast. Mon found a tremendous sense of happiness & inner peace through her Yoga practice. Yoga has been her passion since her first class and finds that it is an antidote to both physical & mental problems. An avid Vinyasa practitioner, Mon was certified as a Moksha Hot Yoga teacher in 2005 under Ted Grand and went on further to be a certified Vinyasa Flow yoga teacher in 2010 with Frog Lotus Yoga. Her classes are energetic, fun & inspirational and she encourages her students to discover their true essence through Yoga. Monica was first introduced to Hatha Yoga in Kerala, India where her passion for travel led her in 2008 while studying the ancient martial art of Kalaripayatt at Vijnana Kala Vedi Cultural Centre. Heading back to Belgium, where she was working in the translation field at the time, she felt the need to continue her yoga practice as a means of handling stress and experiencing physical and mental benefits. That’s how she ended up in a Bikram Yoga studio for the first time and never left the mat since. Being a gymnast as a kid she found attracted by the physical aspect of the practice at first but very soon realised that there was much more to it and eventually decided to quit her job and leave for Palm Springs where she attended her first teacher training course in 2009. Since then she has further developed her knowledge by completing a 200hr Hatha Yoga and a Prenatal TTC in Singapore and also studying at Prana Vashya Yoga Shala in Mysore where she completed a Dynamic Vinyasa Yoga TTC in 2015. It’s in Mysore that Monica found her major inspiration under the guidance of Yogacharya Vinay Kumar founder of Prana Vashya Yoga. After years of traveling and teaching all over the world (Belgium, Germany, France, Morocco, Philippines, Dubai, Singapore, India, Nigeria…) meeting such a devoted and skilled practitioner but also humble teacher was a big wake-up call for her on how powerful yoga is and her responsibilities as a teacher. Monica’s classes are challenging and fun. She likes to create a space for her students to experiment and grow their own unique potential and diversity. Her focus is both on the physical alignment and the mental/spiritual aspects of yoga. When leading a class, the words of her teacher Vinay Kumar always come back to her mind “create leaders, not followers!”. Over a decade, Oat had worked in the hotel and travel industry. Being stressful tasks, he was thus looking for activity to relieve his pressure. He has found inner peace and new ways of looking at life while practicing yoga. This has made him want to share the greatness of Yoga to others. That being said, Oat decided to join the first batch of Hatha Vinyasa Teacher Training at ABSOLUTE YOU, and finally become one of the team. A former Pilates Trainer at International Fitness Center, Ohm is passionate about Pilates as the exercise helps strengthen the body and helps increases one’s appropriate awareness of suitable alignments and exercises to fit the needs of an individual. 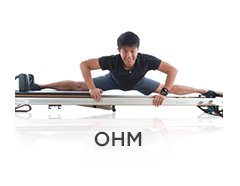 Ohm cherishes teaching Pilates as it allows him to share the benefits of practicing Pilates with his students, helping them to become healthier and stronger, which delights him and makes him want to continue on this path. On a personal note, Pilates is a big and important part of Ohm’s life, and he practices it regularly on his days off and at every chance he gets. With extensive past trainings and certifications, i.e. 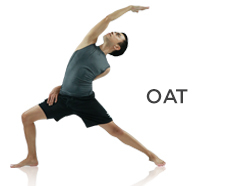 Intensive Mat Plus, Intensive Reformer, Intensive Cadillac Chair Barrel, Advanced Mat, Advanced Reformer, Advanced Cadillac Chair Barrel, and Injury Special Populations, Ohm enjoys teaching all styles and focuses of Pilates. He keeps his classes unpredictable, challenging, yet attainable for all of his students. With his jovial & fun –loving nature, Ohm was trained in Coreblast in 2013. Paul originally from Vancouver, has spent the last decade based in the Swiss Alps, living the life of a professional extreme skier while owning and operating a busy nightclub in a winter resort. Skeptical of Yoga, Paul changed his mind when he first practiced Yoga in 2006 and realized how physically challenging yet restorative and healing Yoga was. A firm believer that one should teach what they practice and practice what they teach, Paul joined Absolute Yoga Hot Yoga Teacher training in 2008. Paul loves to teach Vinyasa based classes that are artfully sequenced with an emphasis on fun, flowing Yoga that moves naturally with the rhythm of one’s heart and breath. He also practices Yin and AcroYoga. “Yoga teaches you a lot about yourself. It teaches humility and patience for Yoga is not something one ever truly masters. It’s a lifelong journey with no final destination. Always learning, and always practicing, and hopefully always growing not just as a yogi, but as a person,” says Paul. Pewee is a Civil Engineer and a Nurse from Manila Philippines. 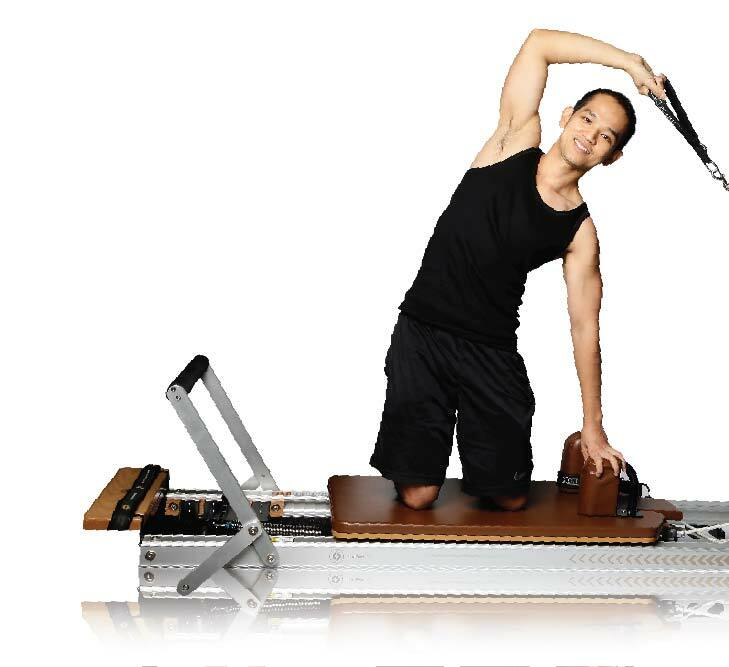 He is trained under Pilates Academy International New York for Full Level 1 Matwork, Reformer , Cadillac , Chair and Barrels, a Certified instructor for Core Suspend and Core Reform System Level 1 and trained under Clinical Pilates from Smart Movement System. 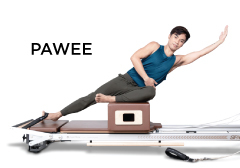 Pewee was inspired to be a Pilates Instructor to help other people exercise although they have disabilities and injuries; for he dealt with it when he use to be heavier. With passion, focus and attention to details you can expect his class to be simple, effective and yet functional. Moreover he always make sure that there is something different, exciting and unpredictable in his class. Nicknamed “Miss Bendy” for her flawless backbends, Ple a former marketing executive started practicing Yoga at the tender age of 18. She found a resonance with Yoga and decided to make a career switch to become a teacher and has not looked back since. Her Yoga classes are fun yet challenging and she always reminds her students to keep practicing as it keeps the body healthy even as one ages. Ple decided to teach Pilates after experiencing the transformative effect of Pilates first hand. With a drop in her dress size, more energy, longer, leaner & toned muscles, she wanted to help others achieve the same transformation. She finds much reward in seeing the smiles on her students' faces after class and believes that Pilates is a fun workout that teaches you to correctly and effectively engages your muscles. 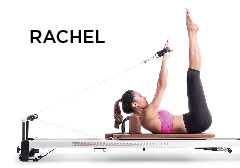 Rachel is a licensed physical therapist and certified Pilates and fitness instructor from Manila Philippines. She specializes in rehabilitation and functional training. 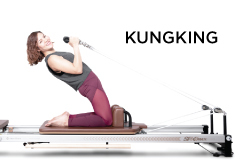 She completed the extensive Pilates full level 1 courses on Matwork, Reformer, Cadillac, Chair and Barrels from both Stott Pilates and Pilates Academy International (PAI) in Singapore and Philippines. A qualified TRX Sports Medicine Suspension Trainer, certified Core Suspension and Cardiolates Instructor. 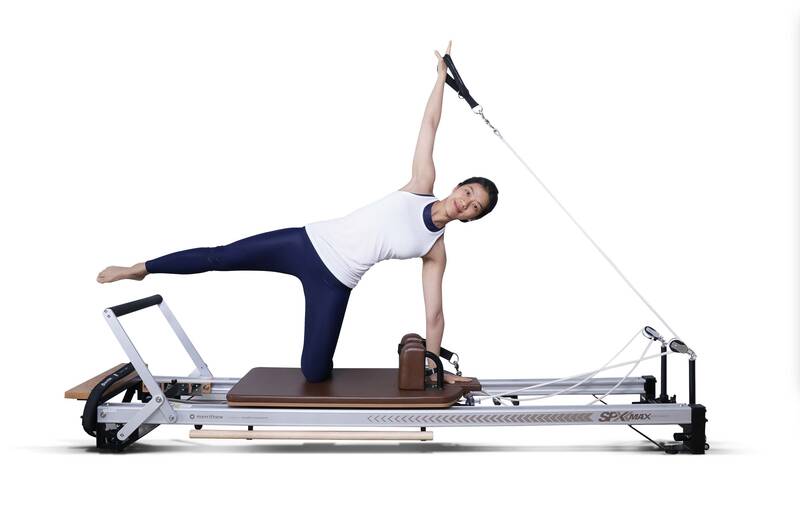 Personally, she likes the combination of Pilates Reformer and Core Suspension as her strengthening workout. In her Core Blast and Reformer group classes she would always go for dynamic, simple and not so complicated movements yet effective and would really put your core to a challenge! Her private Pilates is therapeutic and with exceptional care. She’s been with Pilates rehabilitation for years before going Absolute You. The usual cases she have handled were scoliosis, post-injury rehabilitation, total hip replacement (THR) and pre/post natal. 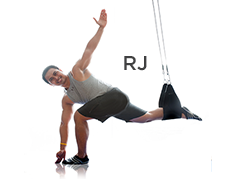 RJ is a physiotherapist, fitness trainer and Pilates instructor from Manila. With a bachelors degree of physiotherapy from San Juan De Dios college in Manila, RJ started his career as a physiotherapist attending to patients and athletes with musculoskeletal problems, after which he became a fitness trainer. His international teaching experience includes Kuwait where he was a sports coach for kids and teens and Singapore where he was a senior fitness trainer. RJ became a certified Stott Pilates teacher in 2011 and has been teaching with Absolute Pilates Bangkok since. RJ known for his strong classes was one of the pioneers to be trained in Coreblast. 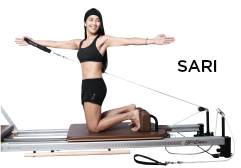 Sari began her Pilates training in 2013, in two methods of Pilates from Stott Pilates and Pilates Academy International. 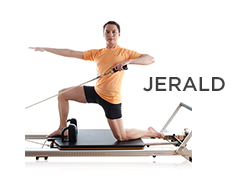 She has since received certifications for Mat, Reformer, Cadillac, Chair, Barrels, V2 max, and Suspension Training. She loves Pilates because for her it is more than a movement of the body but a movement of awareness, paired with powerful use of breath that results in self tenacity, empowerment, and belief. She crafts a class where students will experience a dynamic, fun and an uninterrupted flow of energy and blood flow. Sari knows her students will love the feeling of their body strengthening and lengthening every time they attend her class. Shanti Devi, a wife and proud mother of 3 children, first started practicing Yoga in 1997. Experiencing the bliss of her first Savasana got her hooked on Yoga. After working 16 years in corporate marketing and communications, an illness prompted her to go deeper into her Yoga practice and commit to making it her life's purpose. An E-RYT (Experienced Registered Yoga Teacher) with the global Yoga Alliance, Shanti Devi has over 500 hours of combined Yoga training in various disciplines under her beloved Yoga masters: Vinyasa flow, Yin Yoga, Pre and Postnatal yoga, Sivananda Yoga, Hatha Yoga, Kriya Yoga, Yoga Anatomy, Chakras & Meridians. As a Coreblast student Stamp became hooked on the workout, as she continued practicing, she could see the change not only physically but also mentally. 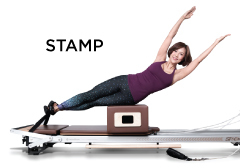 Stamp began the journey of being a Coreblast instructor and then had the opportunity to take part in Absolute Pilates Reformer Teacher program. With her enthusiasm, she consistently improves her teaching skills by attending numerous workshops and trainings, recently, she already got American Council on Exercise (ACE) certification. Stamp’s classes focus on functional movements and greatly detailed on every muscular control with the hope that her students will get into a nice body whilst having fun in her classes. Working in competitive advertising business from dusk till dawn, Ting started to de-stress in cardio class like body combat and tried yoga as a good stretch. She then felt totally connected with yoga and embraced it as a part of her life. Preferring to live a happy and healthy life, she dedicated herself to a regular practice even when relocated to Hong Kong. She then took the next step by becoming the certified Hatha and Hot yoga teacher. Vanessa began her training in 2012, at Options Studio in the Philippines, where she studied Anatomy and Pilates. Vanessa’s achieved multiple certifications in Anatomy and Bio Mechanics, Mat Pilates, Reformer, Chair, Cadillac, Barrels, and Post and Pre-natal Pilates trained. Through training, she realized her true calling was to inspire and motive others to move and push their bodies. In Vanessa’s class, the main focus is on alignment and making sure all students receive the full benefits of each pose. Inspiring and motivating people is Vanessa's passion and hopes to share this everyday to every people she encounters. She loves teaching, for her it is gratifying guiding and teaching her clients to nurture their body and mind.